UN agencies are mobilising and stand ready to support government-led relief operations in Pakistan and Afghanistan, Secretary-General Ban Ki-moon said on Tuesday as he condoled the loss of lives after a powerful earthquake struck the region killing 200 people. "The Secretary-General sends his deepest condolences to the people and Governments of Pakistan and Afghanistan and to everyone affected, particularly those who have lost family members and friends. He wishes a speedy recovery to those injured," a statement by his spokesperson on Monday said. "United Nations agencies are mobilising and stand ready to support Government-led relief operations in both countries, if requested," the statement said. During the daily press briefing, spokesperson St phane Dujarric said so far there are reports of damage across the northeast part of Afghanistan and in Kabul. Scattered reports also indicate damage across the northeast and in Kabul. The governments and UN are both hampered by the lack of phone service. He said early indications are that the impact of the initial shock may be relatively light, given the low density of population. Afghan disaster response mechanisms at the national and provincial levels have been mobilised, and the UN stands ready to provide assistance if requested, he explained. Hospitals are on alert around the main impacted region around the Khyber region, Dujarric added. He said that UN agencies are mobilising emergency stocks as a preparatory measure in case support is required. 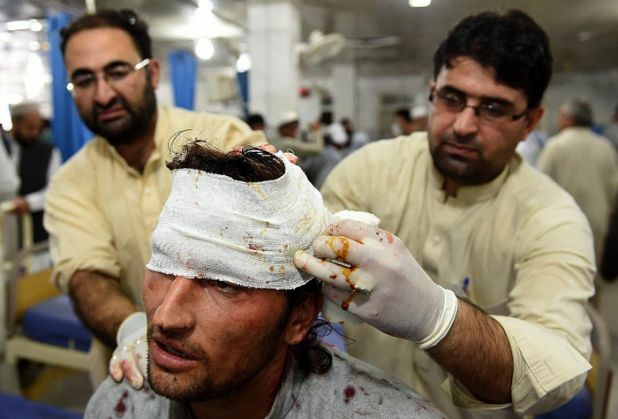 At least 200 people were killed and more than 1,300 others injured today as a powerful 7.5-magnitude earthquake - the strongest in 10 years - hit Badakshan province in Afghanistan and Pakistan, sending severe shock waves as far as Punjab province and PoK. Hrithik Roshan - A desi Jack Sparrow in Thug? Shiver me timbers! READ NEXT >> Hrithik Roshan - A desi Jack Sparrow in Thug? Shiver me timbers!